The next upcoming April Fools Day is on Monday April 1st, 2019. 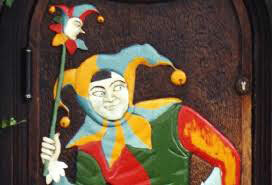 April Fools' Day is celebrated every year on April 1. Playing practical jokes and hoaxes are common on this day. People play jokes on each other all in fun. Newspapers, magazines, and other media outlets will broadcast false reports which are explained soon after. The April fool is the joke and their victims. This day has been popular since the 19th century but is not a public holiday. The first recorded association between foolishness and April 1 came from "The Canterbury Tales" by Geoffrey Chaucer in 1392.